I am pretty excited about the backyard in our new house. I may or may not have been pricing a tetherball pole and a new trampoline earlier this week when I came across this fun DIY Shishkaball Game. How fun would this be for a summer party!! The supplies can be a little pricey, so I am not on a mission to figure out how to make it for less. 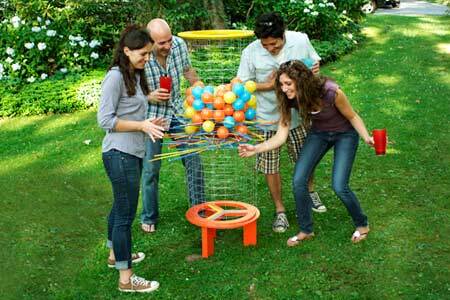 You can check out the step by step plans on building this DIY outdoor game over at This Old House.